A head-up display or HUD has become an increasingly common option among upmarket cars, as well as a few brands with aspirations in that direction. HUD technology beams useful information onto the windscreen (or a transparent reflector), close to the driver’s normal eyeline. As a result, the display seems to float in the air ahead, without interrupting your view. The idea is to minimise the time spent with your eyes off the road checking speed or navigation directions. Eye-strain caused by rapidly focusing inside the car and then out again is also avoided, helping to reduce fatigue. These are laudable goals, but probably not as important as the feeling that you are sharing technology with jet fighter pilots, who rely on their HUD to lock missiles on target. Given the amount of time I spend on the M25, this feels as if it might be welcome, even if the missiles are only in my mind. 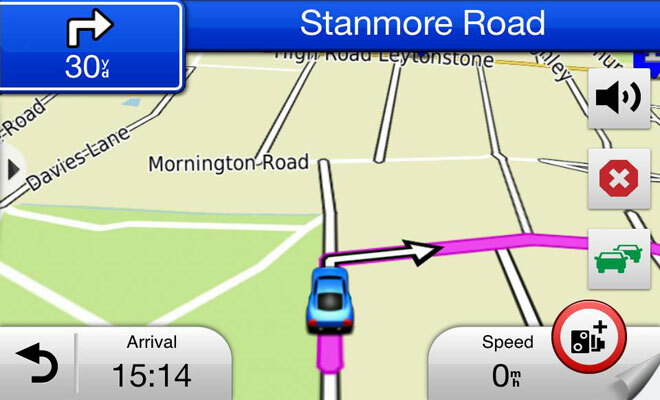 Satnav maker Garmin has aimed to bring head-up capability to aspiring jet pilots no matter what they currently drive. It has developed a plug-in unit that provides some of the capabilities of factory fitted HUDs at a fraction of the price – just under £160 direct from Garmin, or less if you hunt online. 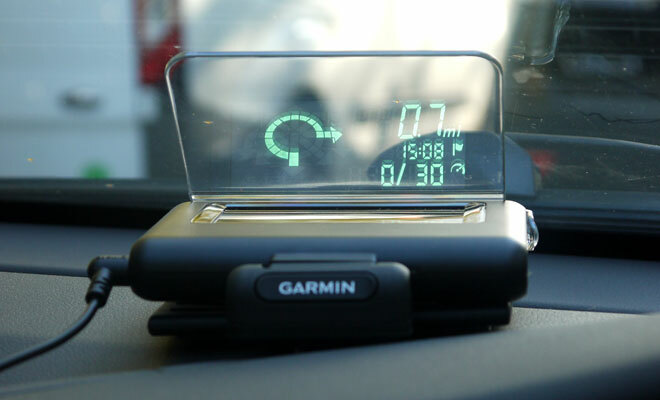 The Garmin HUD+ projector unit itself is about the size of a deck of playing cards but a lot heavier. It’s hinged to a flexible, self-adhesive mounting plate that allows you to firmly attach the unit to the top of your dashboard, coping with a wide variety of curves and angles. Once in place it won’t go wandering during a spot of brisk cornering, but it’s not so permanently stuck that you can’t peel it off and move it to a slightly different spot. Any dust on the dashboard will need to be cleaned away at the outset, of course. Some factory HUDs – such as those found in new Mercedes C-Class or BMW 4-Series – use the windscreen itself as a reflector. However, their screens must be specially coated or polished because relying on the windscreen alone in my car produced a nasty case of double vision. 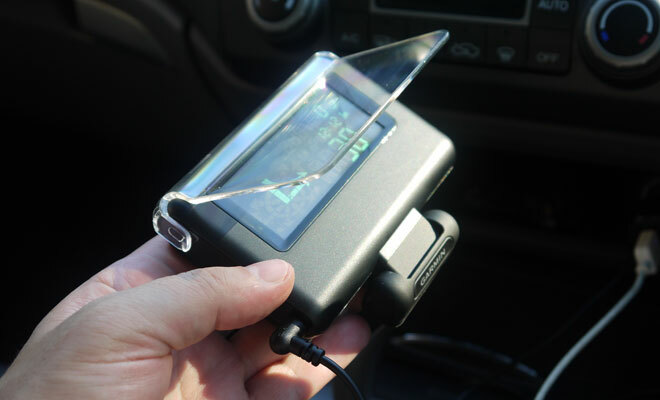 To avoid this issue, Garmin supplies two solutions in the box – a glossy film you can stick to the relevant part of your windscreen, or a clip-on plastic reflector that sits up at an angle, allowing you to lie the projector unit flat on its back. The clip-on approach is similar to the HUDs found in the new Mini or BMW 2-Series, which use a smoked glass reflector. Before you can install the hardware, you will need to pair the HUD+ unit with an iPhone, Android handset or Windows smartphone. 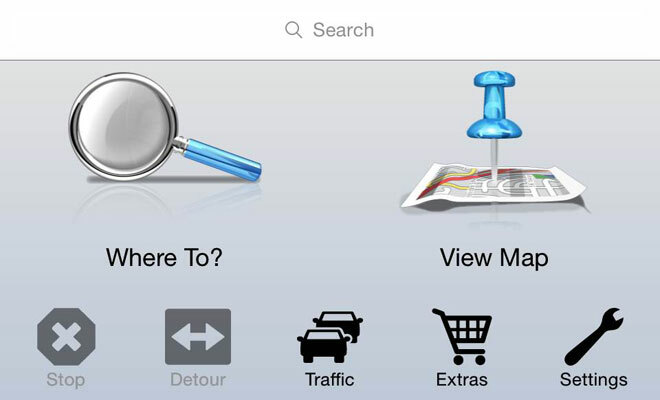 I started by using my iPhone to scan a QR code supplied on a card, which whisked me to the Garmin HUD+ download in the App Store. Installing and running the app produced an alert, telling me to pair my phone with the HUD+ unit before proceeding. You can’t do anything with the software until pairing is completed, as the App is otherwise a free copy of the full Garmin satnav software. Awkwardly, you will need to climb into the car to pair up your devices, because the HUD+ display unit has no batteries and there’s no USB cable, so you’ll need access to a 12-volt cylindrical socket. As soon as it’s plugged in and powered up, the projector unit will go into pairing mode and you can connect via your smartphone’s Bluetooth menu. Once the two are hooked up, you can climb out of the car again as you’ll probably prefer to use Wi-Fi to download the maps you’ll need to get up and running. I installed a minimum setup with UK and Ireland maps, which took up almost a gigabyte of my phone’s memory. Further maps covering the rest of Europe are available to download when needed, included in the price of the HUD+. 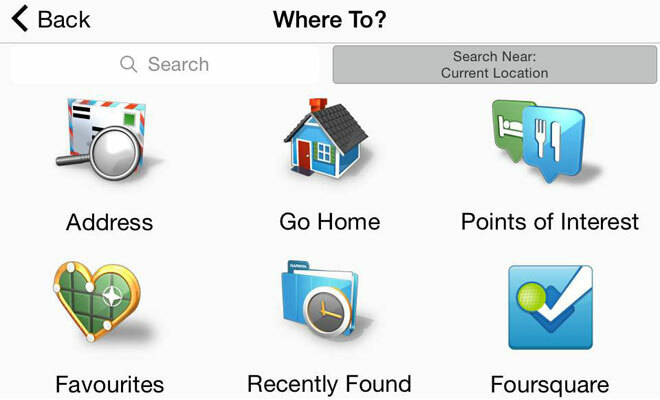 To continue using the software, either in the car or on foot, you’ll need to connect with the display unit at least once a month. Live traffic data is not included, however. It costs £15.49 as an in-app purchase. Garmin’s smartphone software is easy to use and provides clear guidance – your phone’s speaker will announce turns in a loud, crisp voice as you approach them. It’s probably worth investing in a screen dock for your phone as the on-screen graphics will be helpful for complicated junctions. Most of the time, however, you won’t need to look at the phone as the HUD does an admirable job of providing the information you need. It shows the direction of an upcoming turn or exit from a roundabout, a distance countdown to the turn, your expected arrival time at your destination, plus your current speed and the prevailing speed limit. Travel even one mph too fast and a helpful red warning triangle will pop up among the green LED digits projected in front of you. A row of arrows at the bottom of the display also provide timely lane guidance at major junctions or when roads diverge. 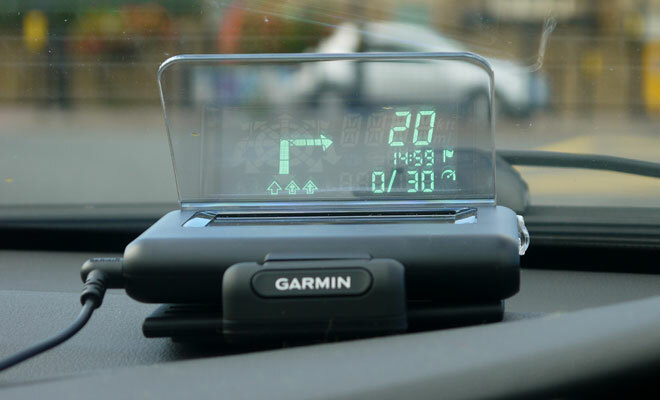 Garmin’s HUD+ does lack one important feature of factory fitted HUD units. To try to reduce eyestrain, images are typically projected using a long focal length, so that they appear to hang in the air around the end of the bonnet, rather than sitting at roughly the same distance as the windscreen. Garmin hasn’t attempted this level of finesse, so its digits and arrows appear only as far away as the unit itself. Another thing that I noticed is that my iPhone seemed to work really hard to run the software and communicate with the HUD by Bluetooth, feeling almost hot enough to toast muffins at the end of each journey. You will need to remember to plug your phone into a power supply before setting off, to avoid arriving with a very warm but very flat battery. Sensibly, Garmin has provided a USB outlet on its 12-volt plug so that a single car socket can feed the HUD unit as well as your phone. At the end of my tests I was reasonably impressed by Garmin’s HUD+ technology, but not so keen that I’d want to dash out and buy one. Given the asking price, charging extra for live traffic data seems mean. But a bigger drawback is that the information shown on screen is too crudely drawn compared to the high-definition screen of a satnav unit or smartphone, especially when it comes to making sure you take the right exit at a big roundabout, or when approaching a complex urban junction. I’d want to be able to check my smartphone screen as well as the HUD, which tends to undermine the point of the whole thing. I’m a big fan of head-up displays when fitted as built-in options. Garmin’s attempt to provide some of the same features in an add-on unit is impressive, but ultimately not entirely persuasive.